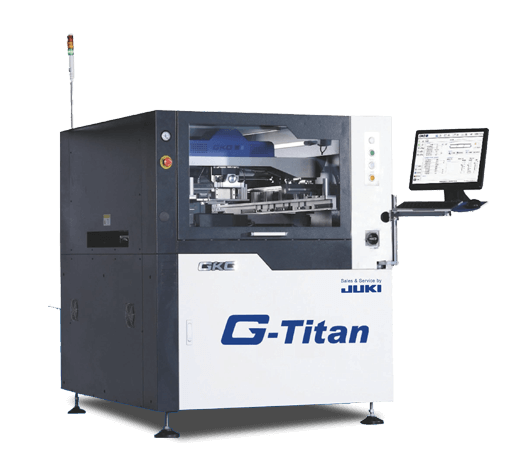 JUKI’s new G-TITAN is equipped with premium quality functions empowering the JUKI Screen-Printing Solution on its path to Industry 4.0 and “Lights-Out-Manufacturing”. 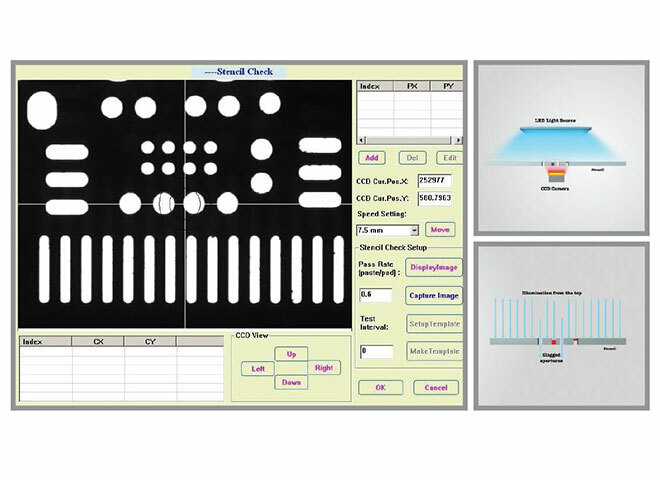 Ease of use is provided due to a brand new GUI – Graphical User Interface – which is operated via touch screen. 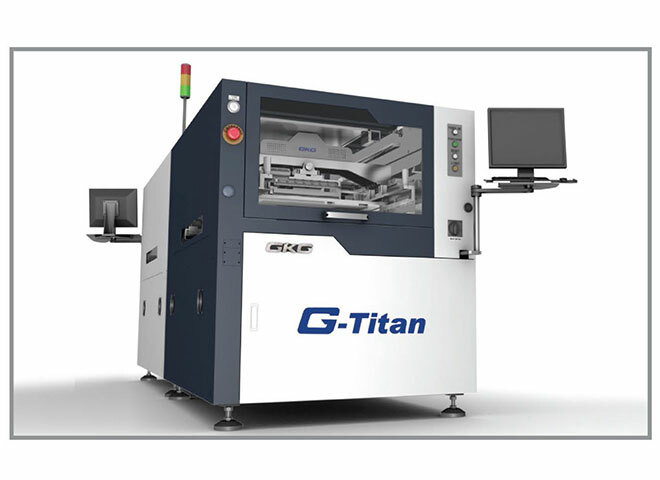 G-TITAN supports circuit boards of sizes up to 510 × 510 mm and therefore addresses its demands towards the mid-size segment. 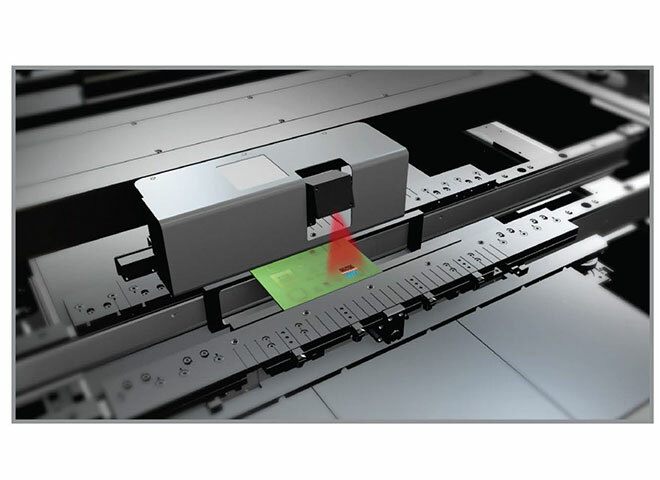 Innovative novelties such as the Opti Paste Control – OPC – as well as the Quality Print Control – QPC – represent useful individual functions to achieve optimised paste consumption, higher level of automisation and avoidance of printing errors during the screen-printing process. 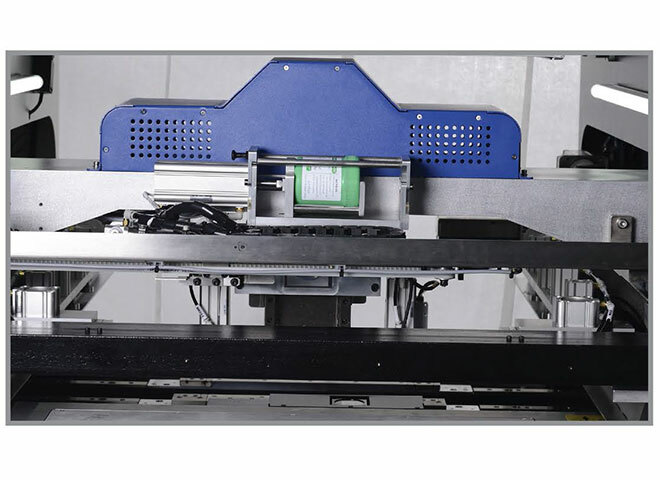 Paste is automatically dispensed across the entire squeegee length, maintaining at 15mm rolling diameter to eliminate solder paste waste. Uses a panel light installed at the top of the CCD camera below to inspect stencil apertures. Support customer advancement towards Industry 4.0 with a seamless MES connection. 2 machines back to back is a perfect match to all dual lane SMT lines.